We are gleeful to share these gluten-free recipes from our luminous member Jen! 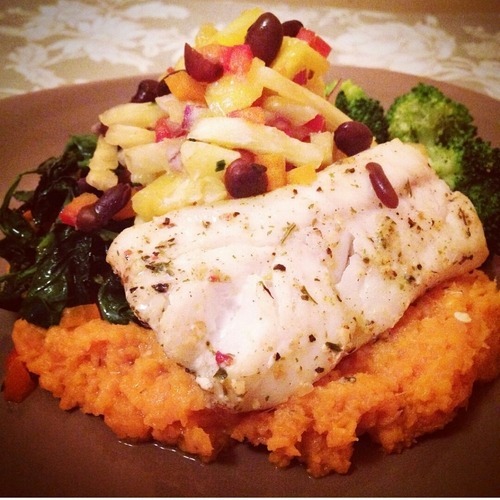 She says, “Through proper nutrition and staying active I have given myself the one thing I never thought I could: happiness.” Read all about scrumptious meals like her sweet cod and pineapple slaw below! 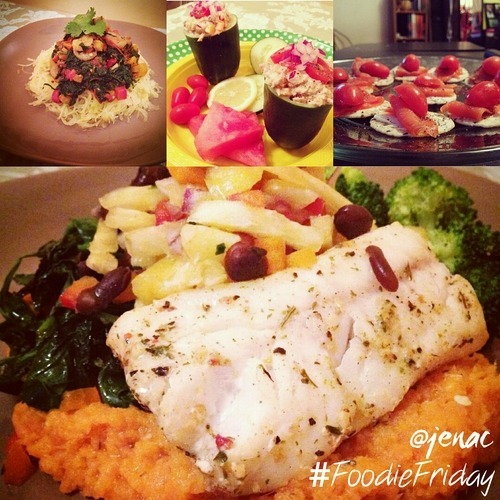 If you recreate them, use the hashtag #MindFulMeals and tag her on PumpUp (@jenac) or Instagram (@jenxx4)! Read more about Jen below! My name is Jen, I’m 22 years old and live in Canada. My Mum and brother have always lived quite a healthy lifestyle, but it wasn’t until mid-April of 2014 that I started my journey of health as well. Before then, I always looked at food as the enemy. I constantly ate to make up for feeling bad about my physical appearance. It was all downhill until I reached 190lbs.The day I found that out I remember taking a long look in the mirror and telling myself "If you don’t like it, change it. Don’t hide it, don’t fake it, and don’t make excuses for it. Change it." I started to exercise consistently, and I ate healthier too. I cut out the candy and eventually started a wheat free diet. My journey is focused around building a better me, while being wheat free. Not just the physical, but the mental as well. Through proper nutrition and staying active I have given myself the one thing I never thought I could, happiness. Almost all of my creations are Gluten Free!! Take your cucumber and cut off the ends, each end that you cut off should be about 2inches long. You won’t need the middle portion for this meal so you can put it away. Take a spoon and scoop out the cucumber insides so that you’re left with cucumber cups. Combine tomatoes, orange/yellow peppers, purple onion, mayonnaise, and tuna into a bowl. 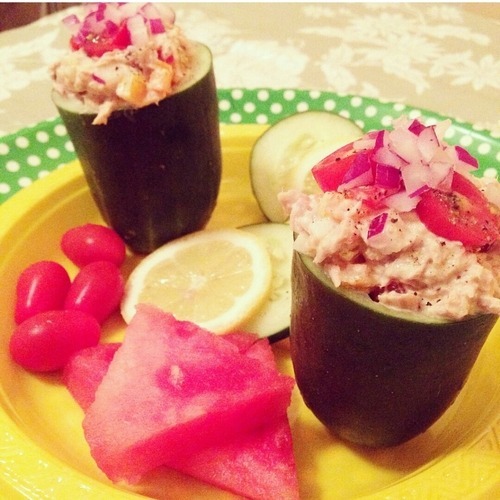 Spoon bowled ingredients into cucumber cups. Garnish cups as you like, and add fruit and veggies on the side to complete the meal. Drizzle olive oil in a pan that is on medium heat. Add chopped tomatoes, onions, ad fresh basil. When you think the shrimp is done add spinach. Let spinach cook for about 30sec – 1 min then turn off stove. Use fork to peel away at cooled spaghetti squash (should look like noodles). 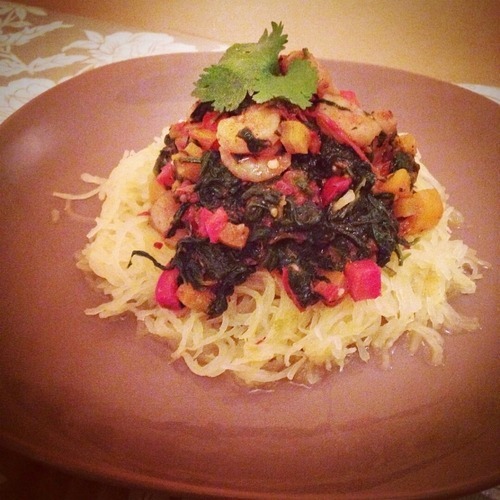 Put some spaghetti squash on a plate and share out your shrimp on top of it. Enjoy! Take a few brown rice crackers and lightly spread cream cheese on it. 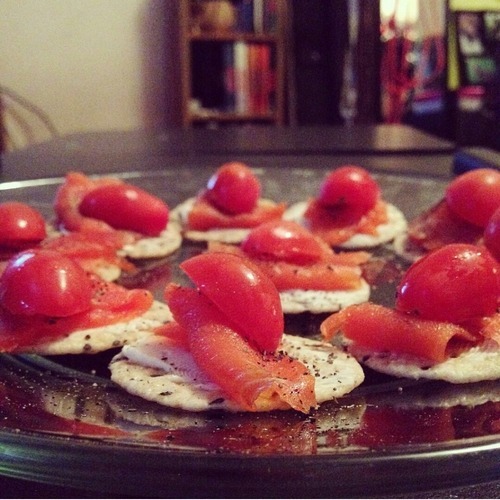 Top each cracker with a cherry tomato that has been cut in half. Sprinkle some black pepper over top of the crackers. Add pineapple, peppers, onion, black beans, chives, and cilantro to bowl and stir. Combine Sweet Potato Mash, Pineapple Slaw and Cod on a plate and Enjoy!